Last year we heard various rumors of an iPhone Pro, and while it never actually materialized, similar rumors for a 2017 iPhone with a large OLED screen have already begun. Nikkei Asian Review - a trusted source on all things iPhone - is reporting Apple is working on a 5.8-inch OLED iPhone that will likely be the most expensive in the range. Previously Nikkei resisted rumors of there being a larger iPhone and instead reported there would be three phones with 4.7-inch, 5-inch and 5.5-inch screens. Nikkei must have some new information to change its mind on the topic of a larger iPhone, but it's a strong sign the rumor is true. 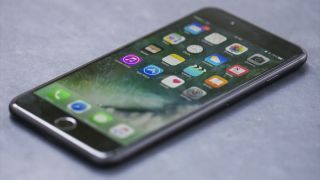 A switch to OLED is looking likely for the next version of the iPhone but it seems a lack of supplies is why Apple is restricting it just to the larger version of the phone. If this proves successful for Apple and there are enough sources of OLED panels we may see every iPhone with an OLED screen in 2018. A recent report also noted there would be what’s being toted as a “function area” at the bottom of the large screen iPhone, leaving the usable screen area at just 5.15-inches. Whether Apple will claim this iPhone has a larger screen than the iPhone 7 Plus and whether the Touch ID fingerprint scanner will be removed remains to be seen. It’s also currently unclear what name the next iPhone range will take. It may be the iPhone 7S, but considering this is the 10 year anniversary of the original iPhone many are expecting Apple will skip right up to the iPhone 8.